New research suggests a national diabetic retinopathy screening programme could be linked to the reduction of new certifications of sight impairment and severe sight impairment in Wales. In Wales, a screening programme for diabetic retinopathy (DR) was launched in 2003 for people over the age of 12 who were known to have diabetes. By the end of 2006, all people had been offered an appointment for screening. For patients, DR is caused when the retina is damaged due to high blood sugar levels. This leads to sight loss or blindness in severe cases. The research, which has been published in the BMJ, was carried out by Swansea University, Cardiff University, Cardiff and Vale University Health Board, Moorfields Eye Hospital and King's College London. The aim of this study was to analyse the changes in new certifications for both sight impairment and severe sight impairment in Wales due to diabetic retinopathy/maculopathy between 2007 and 2015. The positive findings indicate the potential for RP screening to help prevent future sight loss. However, without data from before the screening programme, it is difficult to determine the cause and effect of the programme in reducing the number of new certifications of sight impairment and severe sight impairment. Other factors may also have played a part, such as a general increased awareness of diabetes and improvements in care. 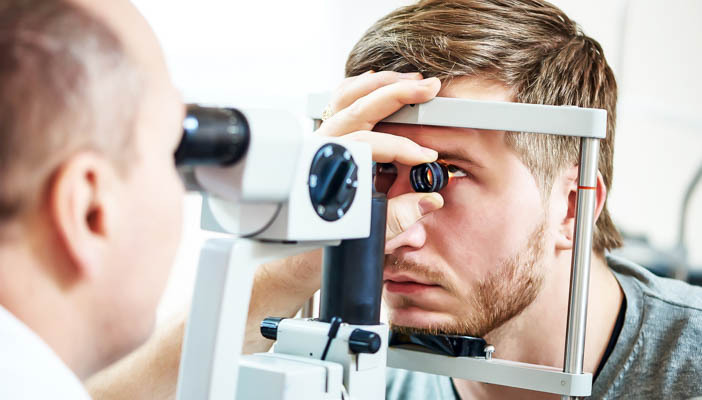 Welcoming the research, Welsh Government Public Health Minister Rebecca Evans said: “Thanks to our national diabetic retinopathy screening programme, we are now successfully intervening at an early stage to prevent people with diabetes from losing their sight.